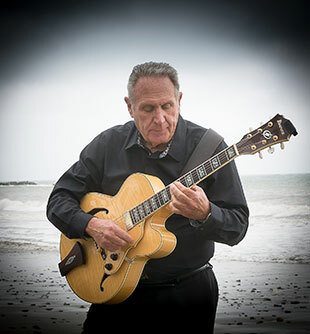 Richard Leach has been performing on guitar since the 1960’s. He has played with the finest orchestras in Los Angeles, as a session player, and countless shows and events as a soloist and band leader. Richard has also performed with Ray Charles, The Temptations, Frank Sinatra, Gene Harris Jazz, the great Art Pepper, and numerous others. Richard performs standards, international favorites, blues, light classical, elegant show tunes, and selections from the American songbook. Superb, first class instrumentals, and selections with easy vocals make for the perfect blend. Today the seasoned composer, guitarist and muti-instrumenlist performs an ongoing schedule each week in the south bay area of Southern California. He performs at Ports O Call restaurant in San Pedro for Sunday brunch, the Admiral Risty in Rancho Palos Verdes, and the Trump National Golf Club (Please check the calendar for times and details). He also performs for special private events and local concerts. The recording artist has recorded 9 CDs as a soloist and has performed on over 100 Projects for others. Richard's latest project, Café Blue, a collection of soulful, jazzy blues with cool vocals is now available at cdbaby.